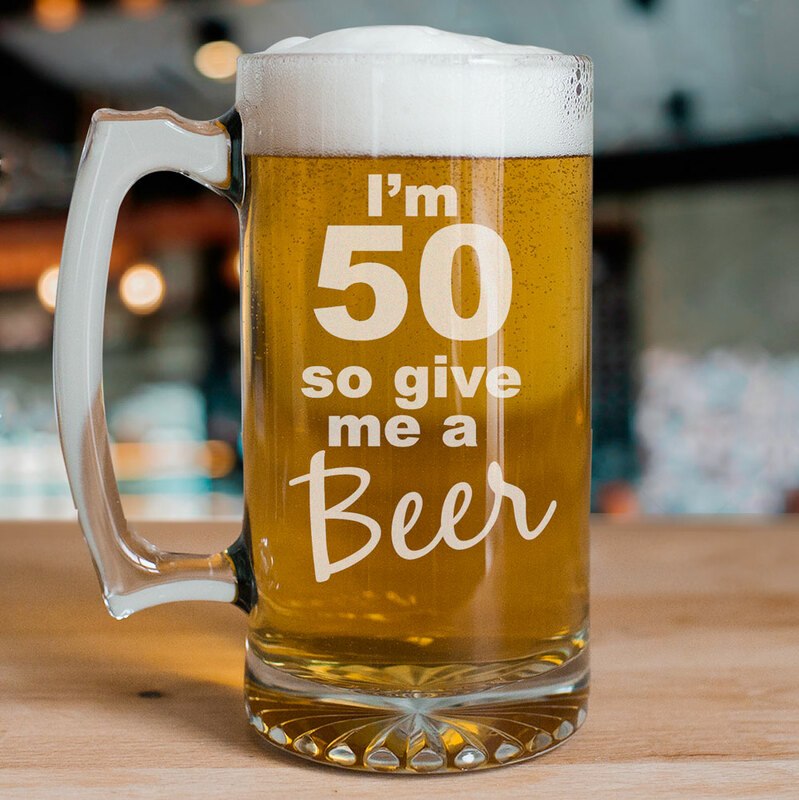 Make sure your 50 year old is prepared for a great night of birthday fun with a Personalized 50th Birthday Glass Mug. Each Engraved Birthday Beer Stein is ready to keep the beer cold and the good times rolling all day & night. Engrave your 50th Birthday Glass Mug with any age. Item was as described and seemed to be good quality. We bought 2 for the "birthday boy" so he would always have a frosty one in the freezer!